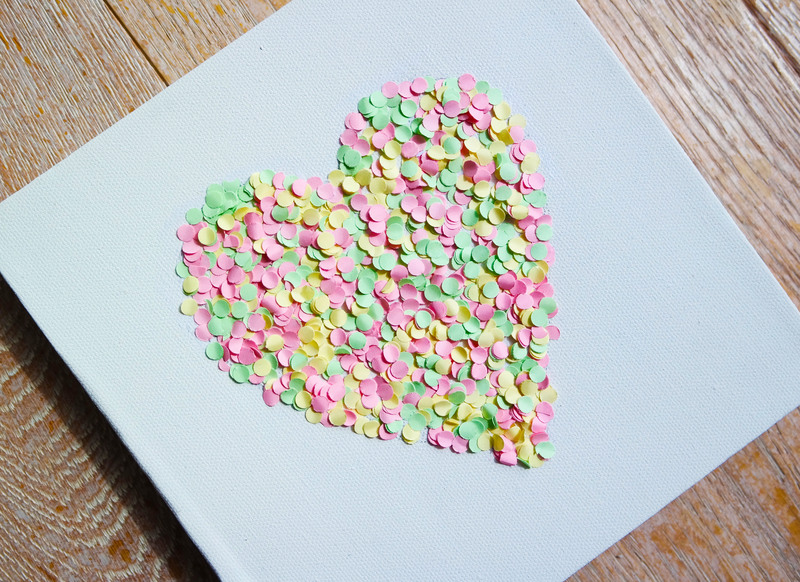 DIY confetti wall art, cute and easy project. 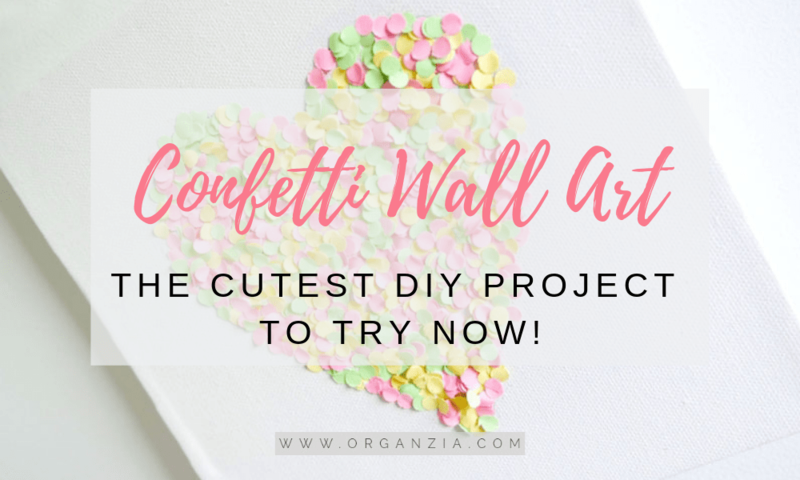 Today I got a super cute and easy project to share with you, make your own DIY confetti wall art! It’s a great project to also do with the kids, as you have endless possibilities for choosing the design /picture you want to make. I’m super excited about how cute this turned out! This would be an awesome nursery art project as well, with some beautiful pastel craft paper you could easily make some adorable confetti wall art. Some cute ideas for the nursery could be a confetti cloud, star, circles, balloons, sun and so much more. 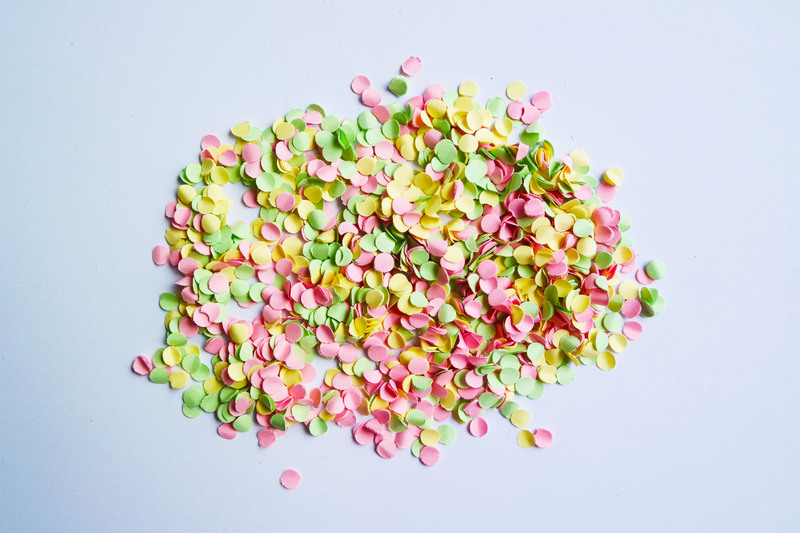 So let us get to what you need, and how you can easily make this cute confetti wall art picture. You can, of course, buy confetti, or you can easily make your own like I did. With some leftover paper in your favorite colors and a hole puncher, all you need is to punch out as many you need, and some patience! A good tip is to fold your paper as many times you can, before punching out the confetti, see the picture underneath. I actually prefer to make my own confetti from colored paper, because a lot of the pre-made confetti is made from tissue paper, and being so light weight would make it more difficult and probably messier to glue them on to the canvas. When you’re finished, hold the canvas upside down so any loose confetti falls off. So that’s it! I told you it’s a super easy project, didn’t I! And I’m so happy about how quick and easy this was, I just LOVE, LOVE, LOVE a really easy and fast DIY project, don’t all of us busy mamas love that? I really hope you enjoyed this easy tutorial! Be sure to also check out more of my easy and fast DIY projects here DIY: fabric covered bulletin board, and How to make Lego pencil holders, for a really easy and fun craft activity for the kids. This is such a cute project! I love confetti! So cute!! Perfect project for my daughter, she is obsessed with crafts and this is so sweet! Thank you Tina 🙂 Hope your daughter likes this project, it’s just super cute!